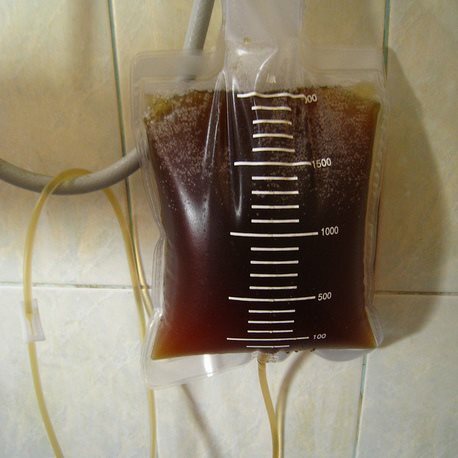 Montreal party-goers are mad for coffee enemas, many of whom swear that it's the best thing since crystal meth. "I'm not as young as i used to be," says Chantal Julliard, a 25 year old nurse who moonlights as a go-go dancer, "and I don't think i'd be able to keep up with all those teenagers on the dance floor if it wasn't for my weekly coffee enema." Coffee enemas are an old folklore remedy, practiced by thousands of naturopaths around the world. "It's like a regular enema, except the liquid solution you use to cleanse your colon is delicious, heart palpitating coffee" says Dr. Patrick Brandt. "A coffee enema is the quickest caffeine fix you can possibly experience." Coffee enemas became popular among party goers after Club Trounoire started offering the service. "I'm a huge fan of enemas," says Max Welt, Trounoire's owner. "I've tried them all. Liquid soap enemas, green tea enemas, cayenne pepper enemas, and I loved them all, but none of those set a fire in my belly the way my first coffee enema did. It was a life changing experience, and I knew the first time I felt that caffeine jolt coursing up my body, that it was something that could revolutionize the way people party. Imagine a world where you can stay up all night without taking crystal meth or line after line of cocaine?" Max set up a coffee enema stand right next to Club Trounoire's bar. The stand, which is decorated with giant neon coffee beans, is operated by a certified naturopath who gently introduces revellers to a very different caffeinated experience. "Our most popular coffee enema service is the two tunnel express," says Max, "it's a heart racing adventure that pushes coffee up one end of your body while you chug down your choice of microbrew through a beer bong at the other end of your body. People love it. It's a one of a kind thrill." The coffee enemas at Club Trounoire proved so popular, that these days it's hard to find a night life event that doesn't offer them. "It's not really a party if no one's offering coffee enemas," says Joyce Rigault, a 25 year old raver from Mascouche. "I remember what partying was like before they hit the scene, and I don't think there's any going back to those dark ages. Coffee enemas are here to stay."